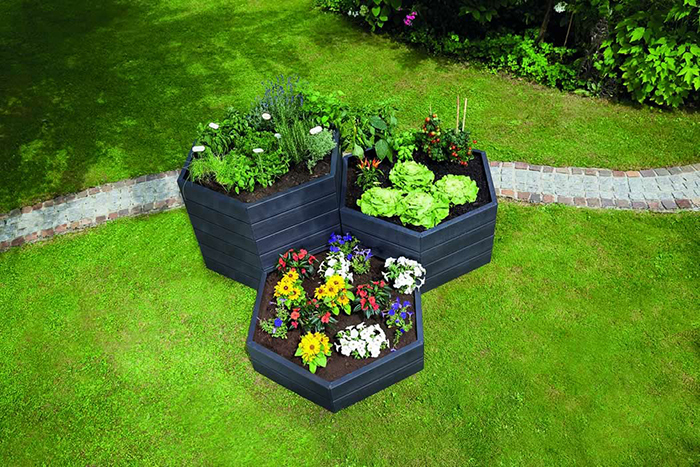 The Modular Raised Bed System allows you to create the right size and shape to work best for your application. 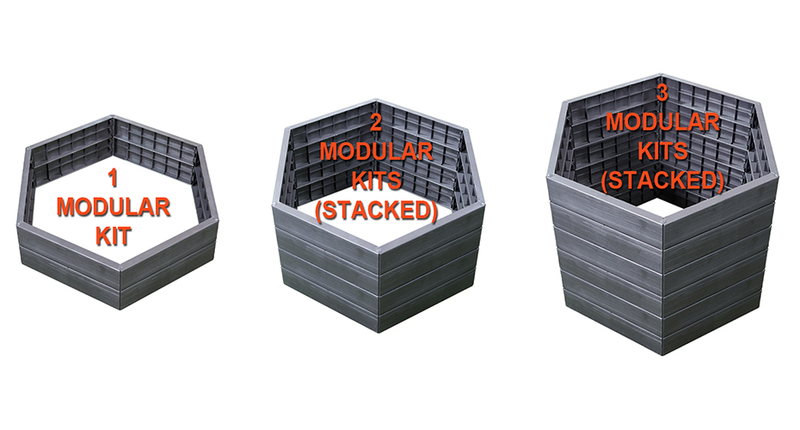 By adding modular kits together you can create containers as high as you like, and by adding optional extensions you can also increase the length. 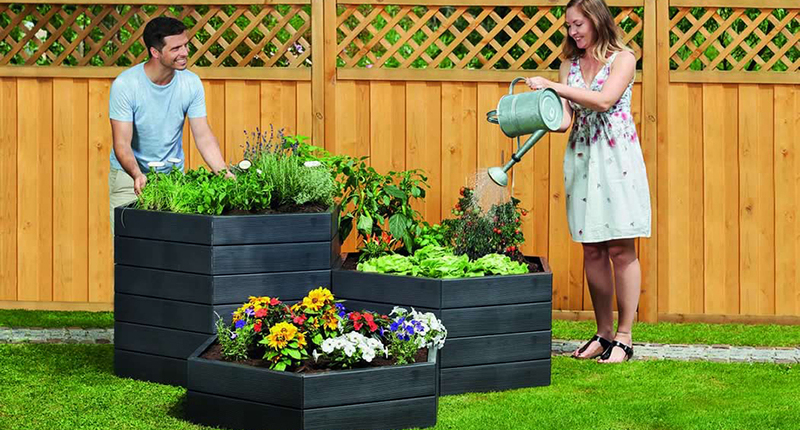 A very versitile and practical product. 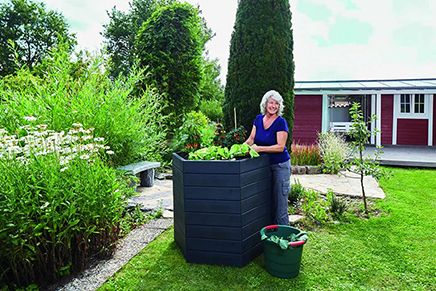 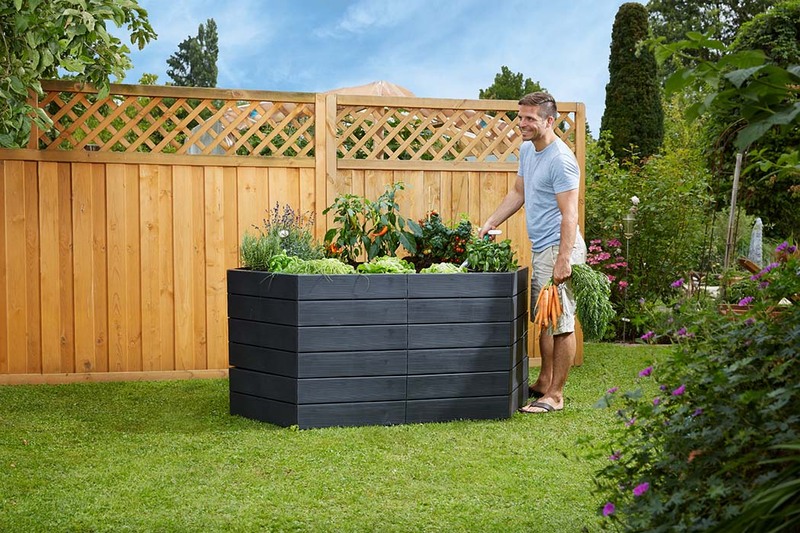 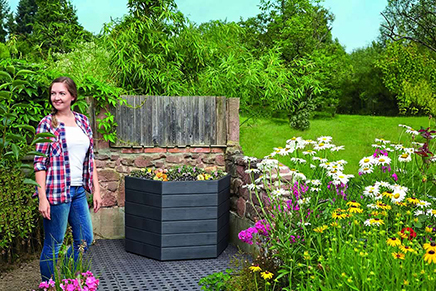 The Modular Raised Bed Planter System can be configured any number of ways to meet your needs. 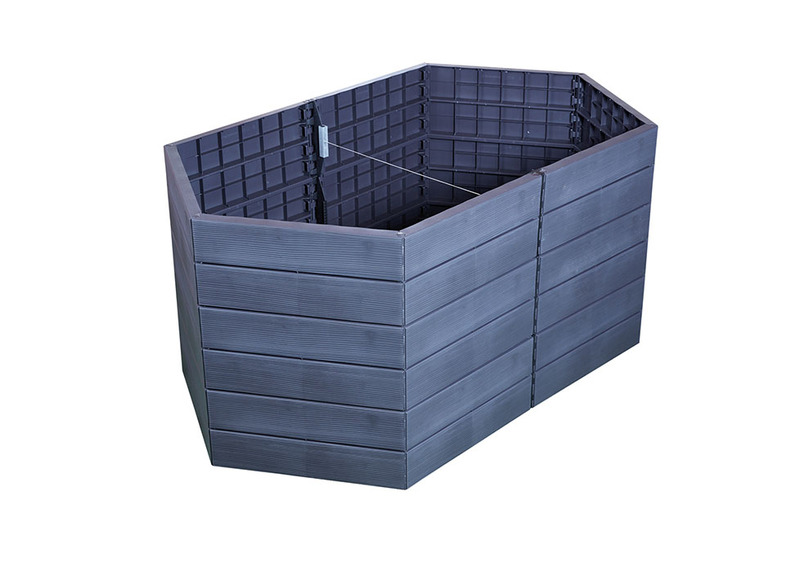 The basic set consists of six 43.5" wide x 10" high panels which easily assemble into a hexagon shape with no tools needed. 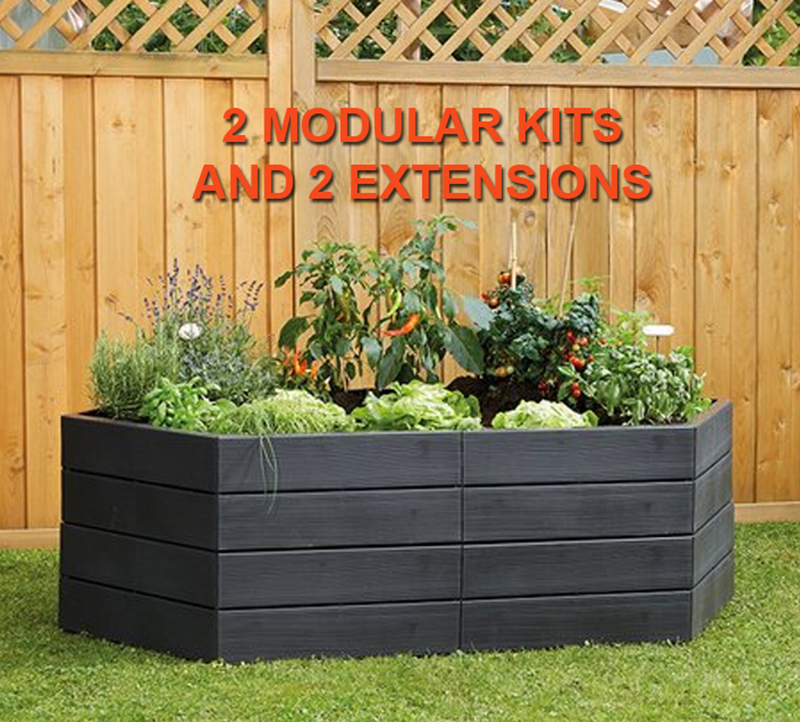 An extension set is available to lengthen the basic model by 21.5". 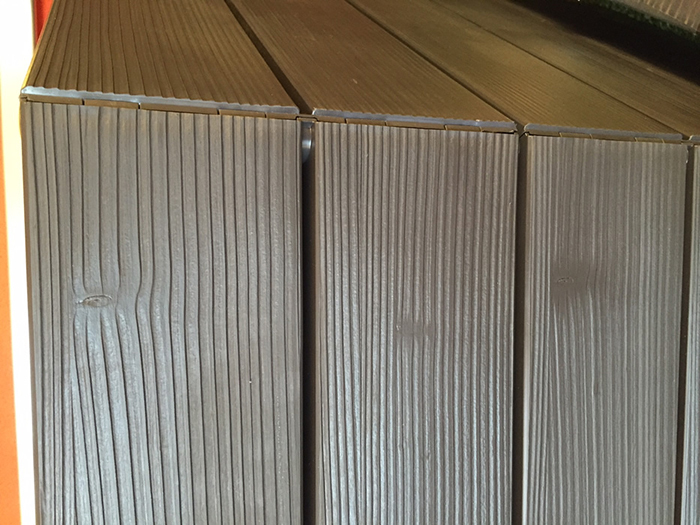 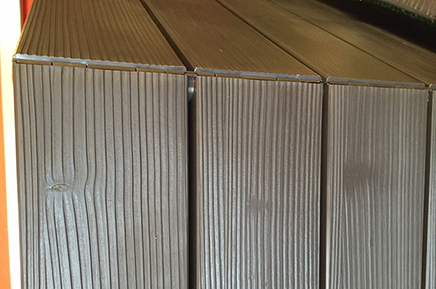 This German product is constructed of sturdy recycled plastic molded with a beautiful wooden texture. 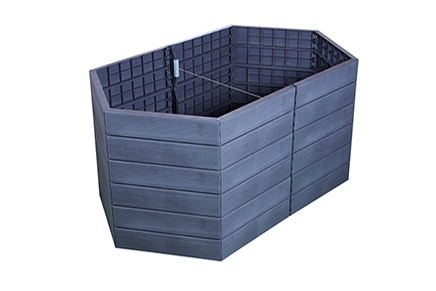 The components are UV and moisture resistant so no routine sealing or painting is needed, and all parts come with a 5 Year Warranty. 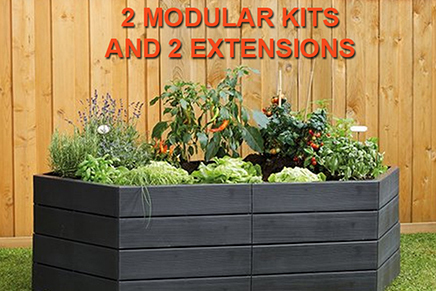 Extension set lengthens basic model by 21.5"